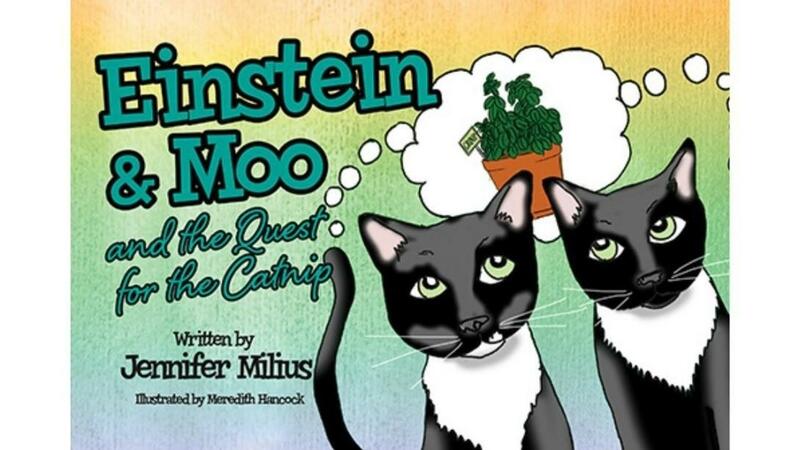 Einstein & Moo and the Quest for the Catnip is book three in the series and is about Einstein and Moo’s favorite treat, a green leafy plant called catnip. It grows outside, and even though they are indoor kitties, they want to find a way to get outside and have some. This may mean that they have to be creative and help each other, but to them, the treat is worth it!